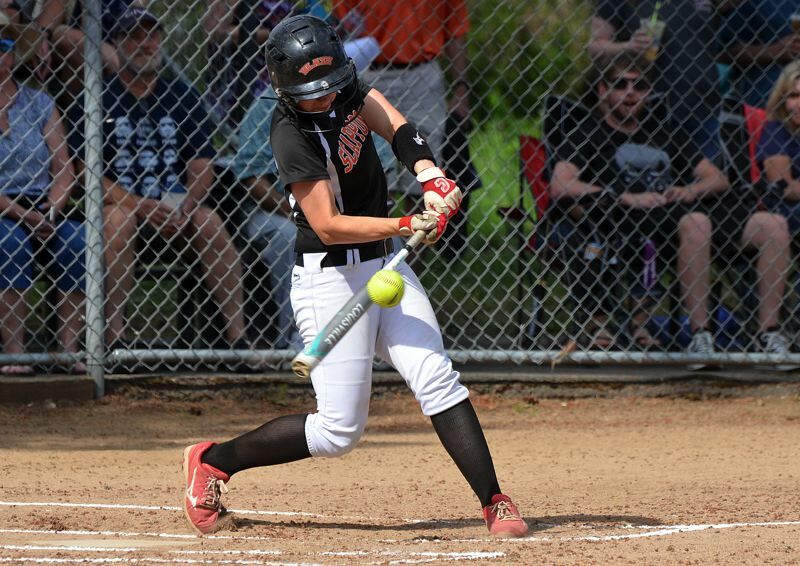 The Scappoose Indians softball team was No. 1 in the Cowapa League this spring, and the all-league voting reflected that. All told, Scappoose coach Nicole Feakin had no lack of talent or leadership on the 2018 squad, which continued the program's strong run. The Indians won the Cowapa League championship, going 14-1 in league and taking two out of three from second-place Banks, which was 13-2. Scappoose outscored its opponents 364-91, and was 24-4 overall. The Indians, who were ranked seventh in Class 4A by the Oregon School Activities Association, lost in the first round of the state playoffs 10-7 to North Bend. That snapped a 14-game winning streak and came after a stretch in which Scappoose went 21-1. Feakin took over early in the season as head coach, moving up when Cijay Koler stepped down for job and family reasons. Feakin had served for several years as an assistant coach. She said her goal was for things to go on as normal in and around the dugout and on the field, and the transition appeared to be nearly seamless. The varsity lost only twice the rest of the season under her direction. Winning the league title was a team effort that included the pitching of Dougherty and catching of Krueger, backed by a potent and aggressive offense, and a solid defense, especially in the infield. Shortstop Galey was a two-way force, making stops and throws to first base and packing a big bat. She wound up as the team leader in home runs (seven) and RBIs (47), despite missing several early games while still on the mend from elbow surgery. "She always gives 110 percent, even when hurt," Feakin said. Galey ended up hitting .565 and has signed to play for the University of Oregon. Third baseman Enos, who has signed for softball at Mt. Hood Community College, batted .544 this year for the Indians. "She works super hard and gives it her all," Feakin said. First baseman Dews hit .423. "She's an amazing kid — always positive," Feakin said. Johnson played left field and was productive as the No. 2 hitter in the Indians' order with a .448 batting average. "An amazing outfielder and hard worker on and off the softball field," Feakin said. Dougherty and Krueger were mainstays in the circle and behind the plate. Dougherty combined her solid fastball with a wicked changeup to keep opposing batters off-balance throughout the year. She went 15-0 in league with a 1.55 ERA. Krueger directed it all, kept opposing runners in check with her arm strength and served as the team's leadoff hitter. "She was always hustling, on and off the field," Feakin said. Krueger was a constant threat to make contact and get on base. She hit .634, plans to attend college in Boston and is working on offers from a few schools in that area. Dougherty, a left-handed pitcher and hitter, averaged .479. "Nicole was always positive. Great attitude," Feakin said. Fisher was the Indians' regular starter in center field, while Mills started at second base. "Payton is a great kid, always there to help anyone who needs it," Feakin said. "Sara is an outstanding person. Always striving to do better." Fisher had a .408 batting average, while Mills hit .451. Fisher, Mills and Johnson will be key returning players for Scappoose in 2019. The other seniors on this year's team were right fielder Sandra Fry and backup outfielder Hannah Ragan. Fry hit .356, Ragan .267. "Sandra works hard at any task," Feakin said, "and Hannah showed amazing work ethic, on and off the field."